"I found the course very informative and it seemed like Gary was always online, which I really never expected. Thanks for all the help and I definitely feel a lot more confident in moving forward!" Since we launched the distance learning version of our award-winning Train The Trainer course in 2014, we've had 500 people sign up from all over the world. To celebrate this milestone we're giving you the opportunity to try the first unit for free, with absolutely no strings attached. Simply register for a free trial and we'll get you started with the first unit right away. Have you ever wanted to learn more about being a trainer but don’t have the time to attend the required training course? Or does your company struggle to get all their trainers under the same roof at the same time to attend a Train the Trainer course? 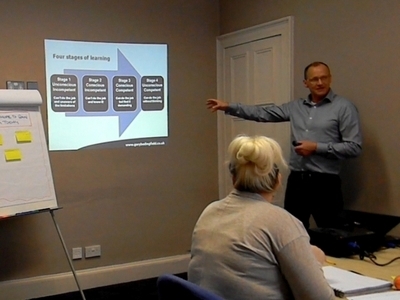 Then our Distance Learning Train the Trainer course might just be what you are looking for. Designed for both new trainers and those who have a number of years’ experience, it has been developed from our highly successful range of class-based Train the Trainer courses and allows you to study at work/home and at your own pace. All the course materials you need will be provided and there is full support from our trainer staff throughout the duration of your study. Course material is emailed to you and you can complete and return assignments/projects as they are done. "I don't like to see a full house of excellents on a course critique but for me that's exactly how it was. Well worth the £90." 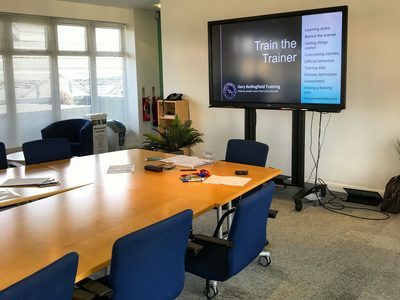 Our Distance Learning Train the Trainer course was created due to popular demand to meet the needs of staff who are training to be trainers but do not have the time to attend a course. Or for companies who struggle to get all their trainers under the same roof at the same time. Why should I take a Distance Learning Train the Trainer course? 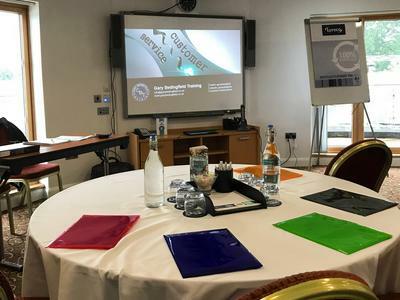 As most people will tell you, delivering training for the first time can be a daunting and nerve-racking experience, and this course makes that experience as easy as possible, introducing you to the basics and helping you to quickly become effective and confident in the training room. The course consists of five units covering learning styles, training plans, assessment, methods of delivery, running a training session, bringing your training to an end and making the most of evaluation. When you sign up for the course we will send you the first of five units by email. The unit will include all the information you require on the topic (for example, Unit 1 is about how we learn). It will also include at least one assignment. Once you have completed the unit you can let us know by email. We will send you a brief questionnaire relating to the unit and your answers will be assessed by us. If all is well, the next unit will be sent to you. This process will continue until you have completed all five units. What if I struggle with the course work or do not understand something? Your appointed trainer is available by email 24 hours a day. You will also have a phone number to contact your trainer during office hours. Is there a practical assessment? For the Distance Learning Train the Trainer course, a practical assessment is not included. However, this can be arranged as an add-on. This would involve us arranging a day for our trainer to observe a training session delivered by you (at an additional cost). 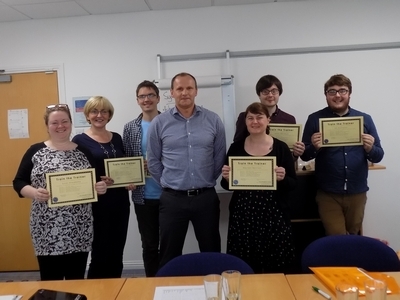 The course is not accredited but we are one of the leading suppliers of Train the Trainer courses in the UK and you will receive a Certificate of Competence upon completion. What organisations already use your training? 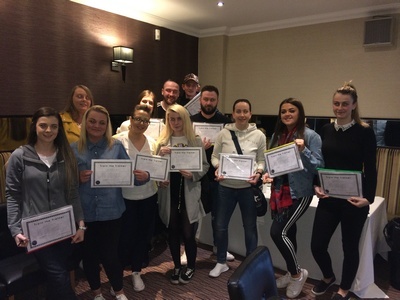 We currently deliver training to BP, CBRE, the Ministry of Defence, Glasgow Caledonian University, Johnson and Johnson, Menzies Aviation, Bluebird Care, Glasgow Clyde College, Routes to Work, Orchard Care Homes, Falkirk Council, North Lanarkshire Council and Wirral Partnership Homes to name a few. What does Gary Bedingfield know about training? Gary Bedingfield is a fully qualified further education trainer and assessor with 20 years industry experience. He has worked throughout England and Scotland delivering to a wide variety of clients. 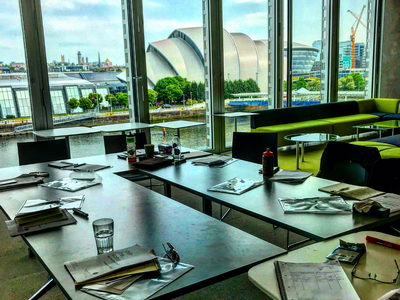 We deliver our Train the Trainer courses to companies all across Glasgow and the surrounding area.